Do you have dreams of becoming a professional photographer one day? Well, walking around with an expensive camera and snapping pictures doesn’t make you a professional. Just about every photographer starts out different. Some might take online classes, some might even have college degrees in photography and others might have a mentor to guide them throughout their path. Well, not everyone is so lucky to have all those options available. If you are one of those individuals how can you go about getting your career on the right path? 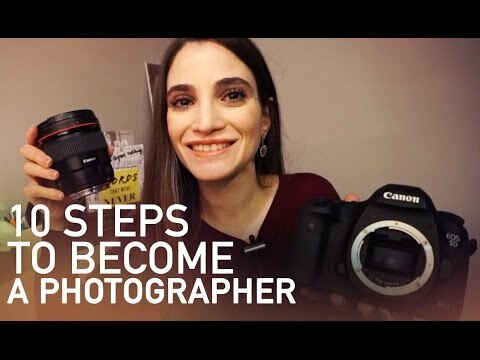 Well, if you want to improve your skills and learn more about your camera you are going to have to just get started. Pull out your camera’s manual and start reading it. Experiment with your camera’s settings and snap pictures with each setting. Later download the pictures to your computer and note how they look different. You can even join photography blogs. You even have the option of pulling out a magazine with a notepad and browsing through all the different pictures. Make notes about what you like and don’t like about each picture. All of these things will help you learn the lingo of the industry, while you distinguish your own style. Earlier it was said that just running around snapping random shot doesn’t make you a professional photographer. Sure, this is true, but it doesn’t mean that snapping shots won’t help you get better. You don’t have to understand what shutter speed and contrast are before you start capturing images. You’ll eventually learn these things and even shooting in the auto mode can help get your timing and composition down. These are two important things. There are always massive amounts of trail and error when you are trying anything new, so don’t be afraid to fail a little. A good pest control removal tech will know his industry, tools, and bugs inside and out. Well, you have to apply that very same concept to your tools, which are your camera and its settings. You know your camera has different settings, but do you know what each does and how to quickly adjust them? Once again, pull out your manual and look at the features section. This will show you what features are available to you and how you can adjust them. If you don’t really understand what the features are or how they are going to affect your shots, you can look this information up online. Colorado – 80734, United States. I am a professional photographer but take pictures of the most unusual subjects. You can call it surreal, but I prefer not to name what my captures are. It tells a story of what I do most of the day, even if I have only captured a single picture for the entire day. This single photo tells a lot of my story for the day.